It seems like every quarter there’s a new story about how hackers breached a major company’s cyber defenses and stole millions of pieces of highly sensitive data. While most of the news coverage goes to data breaches that hit major corporations, small businesses are frequently the target of cyber-attacks as well. In fact, the risk for small businesses is even more significant because many do not have the capacity to withstand the blow that a cyber-attack could deal. According to the National Cyber Security Alliance, 60 percent of small businesses will go out of business within six months of a cyber-attack. To help mitigate the risks, companies like Dell do extensive training for team members. Such training is important because only 48 percent of cyber-attacks are perpetuated with malicious intent. The rest? Human error. Let’s take a look behind the scenes at Dell to discuss seven of the top tips they use to keep their data safe, advice that can go a long way to help protect your small business. The best software for cyber security is a company-wide mindset. Everyone should be vigilant, and conscious of security threats and the value of the company’s data and assets. This mindset is expansive and includes being careful when sharing on social networks, as well as when disclosing sensitive information through email or the phone. Remembering numerous different passwords can be a hassle, but nonetheless, it’s vital that employees resist the temptation to reuse passwords. Use a strong mix of characters and always avoid writing down passwords. Employees should be reminded to always lock their devices and to avoid leaving devices unattended. In addition, they should be aware that malware can spread through flash drives, external hard drives, and personal smartphones, so they need to be careful what they plug into. Dell even tested its employees by putting rogue flash drives around the campus parking lots to see who would pick them up and use. This is one of the fundamentals of cyber security. Before clicking on an email link or downloading an attachment, make sure you know the sender. If anything seems suspicious or unusual, don’t click! Instead, contact the person to verify if they sent the email. In the era of the remote office, more people are working remotely than ever before. It’s important that employees know what they can and cannot use when on unsecured networks such as those in coffee shops. Also avoid browsing on an untrusted network, as this can lead to interception of financial, e-commerce and other sensitive data. The danger of a cyber-attack is not only in having financial and personal records stolen, but in losing large amounts of data that is vital for running your business. Therefore, regular data backups are essential. This is a kind of insurance you can’t do without in the modern world. If you or any employee notices unfamiliar activity in your accounts, it’s a sign the account may be compromised. Add an extra layer of security by adding a two-factor authentication (such as asking users to answer a question only they would know) to accounts whenever possible. Because tech and IT are at the center of today’s small businesses, you can’t be too careful when it comes to protecting your data. 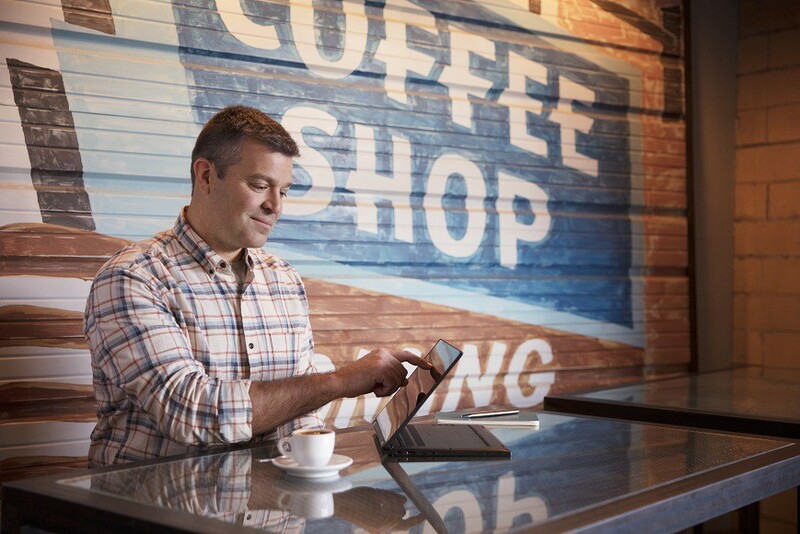 For more on how you can improve cyber security where you work, take advantage of free services such as Dell’s Small Business Advisor hotline to find out how smart, secure tech can empower your company. Erik is the Vice President & GM, North America Small Business at Dell Technologies.